At Industrial Brake and Supply, we have specialized in manufacturing and distributing industrial friction products since our company began in 1971. Our molded and woven flat sheets are perfect examples of the kind of fine products that we produce, with our industry focus on in-plant applications as well as industrial on and off highway friction products. We serve a variety of markets in the regional US, including Ohio, Tennessee, Pennsylvania, West Virginia, South Carolina, Georgia, and Florida. Whether you are looking for molded or woven flat sheets, IBS can provide you with high quality products with a variety of options. Our molded sheets are available with thicknesses from 1/32" to 1". We also have a variety of frictions available, with ratings from .12 C.O.F. to .62 C.O.F. We can fabricate molded sheets in sizes ranging from 20" x 20" to 30" by 30". Our woven sheets come with a variety of options as well, with thicknesses of 1/8” through 1” available, along with frictions with ratings of .39 C.O.F. to .6 C.O.F. 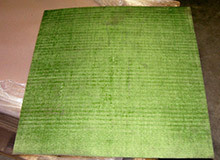 Our plant can fabricate woven sheets in sizes of 18” x 36”, 20” x 20”, or other sizes as well. 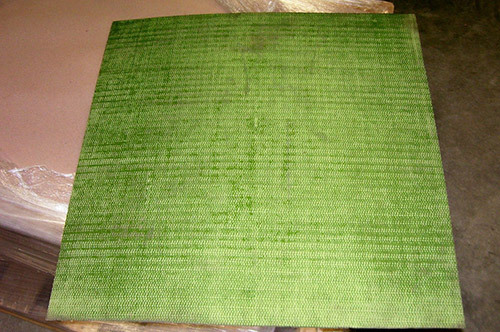 To learn more about the varieties of molded and woven flat sheets we have available, please contact us directly.